SEOUL -- South Korea's state oil company has installed a laser-based wind energy meter at an offshore gas platform off the southeastern port city of Ulsan to see if it could be converted into a floating wind power turbine to produce electricity. 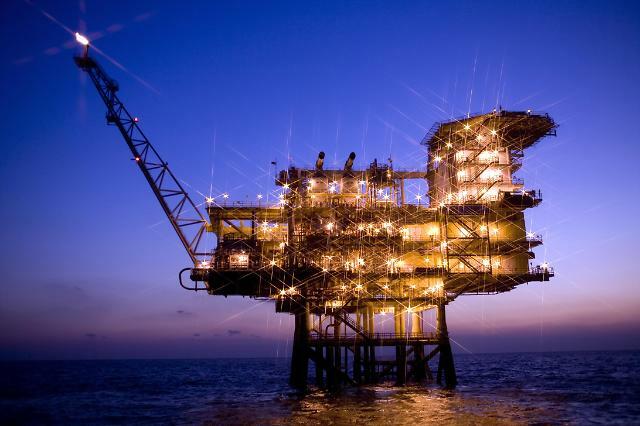 Korea National Oil Corp. (KNOC), which operates oil and gas fields abroad, said Thursday that the device was installed Wednesday in the platform some 60 kilometers (36 miles) southwest of Ulsan to acquire related data. 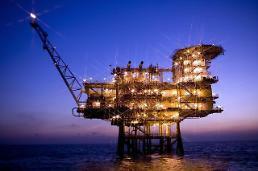 The gas platform's lifespan ends in June 2021. Based on the data measured for one year, KNOC would conduct a feasibility study on the clean energy project. South Korea, which is entirely dependent on imported oil, discovered a commercially viable gas field off Ulsan in 1998, although the amount of reserves was not massive. South Korea has mapped out a new energy roadmap calling for an injection of about $100 billion into renewable energy by 2030 to support President Moon Jae-in's campaign aimed at reducing the use of fossil and nuclear energy. About 60 percent of the state fund would be spent on installing solar panels. In August, Ulsan proposed a pilot project to build South Korea's first floating wind turbine. If the semi-submersible turbine performs well during a demonstration period, the industrial city plans to put a cluster of floating windpower turbines into commercial operation. Fixed offshore wind farms are generally installed in shallow waters while floating wind turbines are located in deep waters where traditional bottom fixed installations are not suitable. Floating wind farms can reduce visual pollution, provide better accommodation for fishing and shipping lanes, and reach stronger and more consistent winds, but there is a limit to how far they can actually be from the coast.